I have only seen this twice in my lifetime. 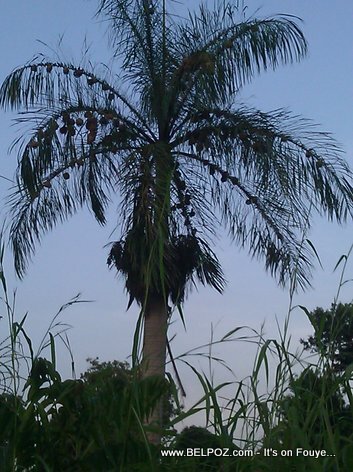 A palm tree in Haiti loaded with bird's nests. I saw it once when I was a kid vacationing in my uncle's house in Port-au-Prince. I saw it once again later on in life, this one not far from the Hinquitte River in my hometown of hinche Haiti. Nowadays you barely see any birds in the sky when you look up in Haiti. Gade foto sa-a... Pie Palmis Chaje ak Nish Zwazo - Andeyo Haiti. Si-w se diaspora, sa pa fe-w sonje peyi-w?